Our head office is registered in Ontario, Canada, one of the few countries in the world offering full travel protection by TICO, the Ontario's Travel Regulator. TICO registered agencies and websites provide additional protection that may not be available when booking with agencies or websites based in other countries or provinces. Wherever you are in the world, when you book a travel with us you are protected in case of insolvency or bankruptcy of the agency, airline or cruise line. When you pay for your travel, your fund is deposited to a “TRUST” account protected by the government of Ontario until you safely return from your trip. 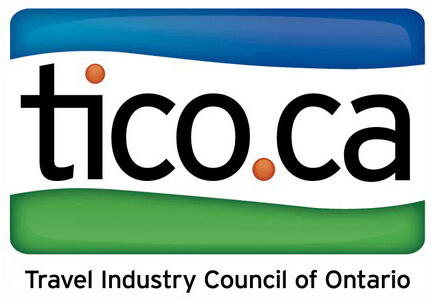 For further information visit the Travel Industry Council of Ontario website or call +1 905 624 6241.